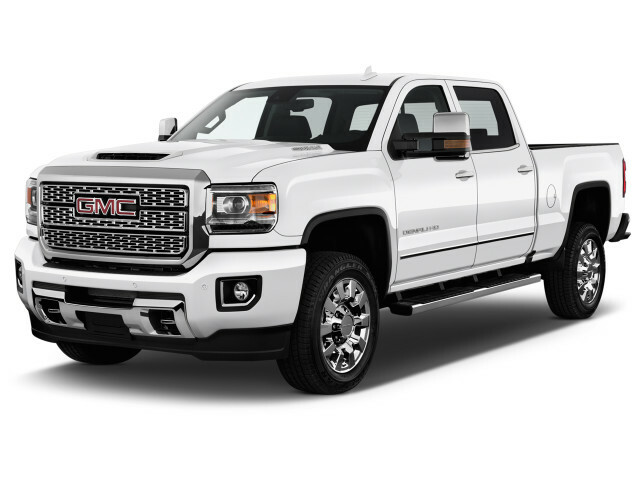 The GMC Sierra 2500HD is a heavy-duty pickup that's related to the Chevrolet Silverado 2500HD. Like the Chevy, the GMC version is offered in three-quarter ton and one-ton configurations, with a high-buck Sierra Denali edition available for either. Where the Chevy Silverado heavy-duty range may skew toward work and fleet buyers, the GMC Sierra range is more often the luxurious pick between the two. The GMC Sierra Denali HD is a frequent sight on roadways and interstates, and offers a heady mix of capability and luxury features that many buyers are willing to swallow a large price tag for. The latest Sierra heavy-duty range made its debut in 2014, alongside light-duty Sierra 1500 models. Those models were updated slightly in 2017 with a new optional turbodiesel engine and some styling changes. 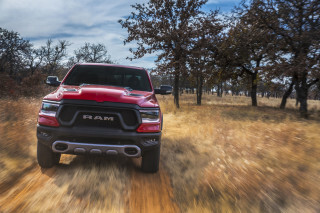 A redesigned model is due for 2020. With the Sierra HD, GMC has rivals for the Ford Super Duty range and the Ram heavy-duty lineup. The newest GMC Sierra HD arrived in the U.S. in 2015, following an all new Sierra 1500 for 2014. While powertrains, frames, and suspension heavy-lifting had slowly made its way into the Sierra 2500HD before then, the truck was transformed when it adopted the interior from the light-duty range. The GMC Sierra HD is offered with a choice between two V-8s that are powered by gas or diesel fuel. The former is a 6.0-liter V-8 that makes 360 horsepower and 380 pound-feet of torque. Like other gas engines in its class, the 6.0-liter V-8 is the champ for payload capacity—more than 3,500 pounds in some configurations. The optional 6.6-liter turbodiesel V-8 was updated in 2017 to make up to 910 lb-ft of torque and 445 hp. That kind of power makes it ideal for towing big trailers long distances, and when equipped with that engine in some configurations, the GMC Sierra 2500HD can drag more than 18,000 pounds. Both engines are paired to a 6-speed automatic, with rear-wheel drive as standard or optional four-wheel drive. GMC offered the heavy trucks in regular, extended, or crew cab configurations, with an 8-foot or 6-foot-6 bed in back. 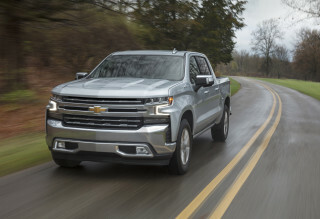 Those underpinnings are shared with the Chevrolet Silverado HD, although the two truckmakers begin to diverge in interior luxury and refinements. The GMC Sierra 2500 Denali HD is a best-seller for the truckmaker thanks to its high level of features and quality interiors. Leather upholstery is standard, and GMC fits an 8.0-inch touchscreen inside for infotainment and navigation. The Sierra Denali HD has an especially hushed interior, and in four-door configurations, offers plenty of room for four adults on long hauls. Like other luxury trucks (and cars) the Sierra Denali HD's price tag starts well north of $70,000, but its popularity and growing list of interior refinements may be an indicator of how far truckbuyers have come—and how far they're willing to go in the future. The GMC Sierra HD history is understandably linked to the Chevrolet Silverado HD range from which it's based. GMC's heavy duty range goes back to the 1960s, when the truckmaker offered three-quarter and one-ton versions of their pickups, badged 1500 and 2500 with "K" denoting newly available four-wheel drive. Most of those heavy-duty trucks were powered by inline-6 engines, although a V-8 was made available toward the end of that generation. The late-1960s and early-1970s marked a new generation for the big pickups, which were still reserved for commercial- or work-focused users. The "Sierra" name denoted a trim level on heavy-duty trucks, which applied to top trims for GMC. 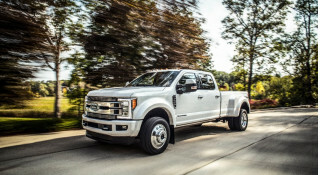 The truckmaker also shifted its naming convention to 2500 and 3500 for three-quarter and one-ton trucks, which endures today. Those trucks were followed by a long-running series of pickups called the "square body" generation, powered predominately by V-8 gasoline engines, although a V-8 diesel engine was newly available. GMC updated its designs, inside and out, until the pickups were eventually retired in the late-1980s. GMC Sierra's popularity soared in the 1990s with its GMT400-based pickups that, among other things, added an independent front suspension for smoother rides. Although double cabs were available before the fourth-generation pickup, the Sierra's four-door version took off with consumers looking for a comfortable ride for a crew. The K-named trucks were retired after that generation when GMC made the switch to the Sierra name for the entire range in 1998. GMC found paydirt in 2002 when it changed the name of its top-trimmed Sierra C3 to "Sierra Denali." The next generation of GMC Sierra heavy-duty pickups traded on that success with increasing number of comfort features including the discontinuation of manual-equipped heavy-duty pickups.